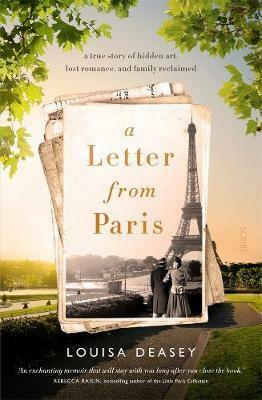 The letters, dated 1949, detail a passionate affair between Louisa’s father, Denison, and Coralie’s grandmother, Michelle, in post-war London. They spark Louisa to find out more about her father, who died when she was six. From the seemingly simple question ‘Who was Denison Deasey?’ follows a trail of discovery that leads Louisa to the libraries of Melbourne and the streets of London, to the cafes and restaurants of Paris and a poet’s villa in the south of France. From her father’s secret service in World War II to his relationships with some of the most famous bohemian artists in postwar Europe, Louisa unearths a portrait of a fascinating man, both at the epicenter and the mercy of the social and political currents of his time.